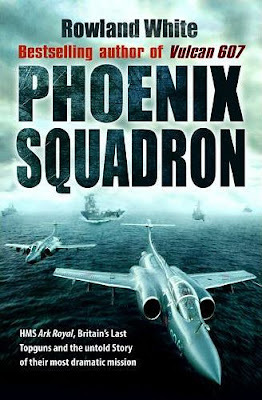 It is not often that a book on a historical military subject is as fast paced and page turning as a novel, but Phoenix Squadron surely is. Ostensibly about the Fleet Air Arm's "raid" on British Honduras (now Belize) to deter a Guatemalan invasion, it does an amazing job of illustrating FAA carrier aviation in the 70s and the political process that would put an end to the UK's use of "real" aircraft carriers. Quite honestly it boggles the mind that the politicians didn't see just how successful the operation was, and were unable to foresee how invaluable an aircraft carrier was for future power projection. (Maybe even deterring an invasion of the Falklands?) The book is gripping and covers it all, flying Phantoms, Buccaneers, and Gannets, the political maneuvering both of the crisis itself and the the cost cutting folly that would lead to the end of the Ark Royal. Highly recommended.